BIC are committed to providing innovative solutions for our clients. Our senior leadership team recently attended the Interclean Amsterdam Exhibition. The exhibition is acknowledged as the ultimate launching platform for innovations within the global cleaning industry. It covers cleaning products and solutions, technology that drives efficiencies and better service outcomes, cutting edge innovations in E-Cleaning, robotics and reporting platforms allowing cleaning providers to better measure, manage and deploy their workforce together with the ability to validate outcome with robust quality assurance platforms. 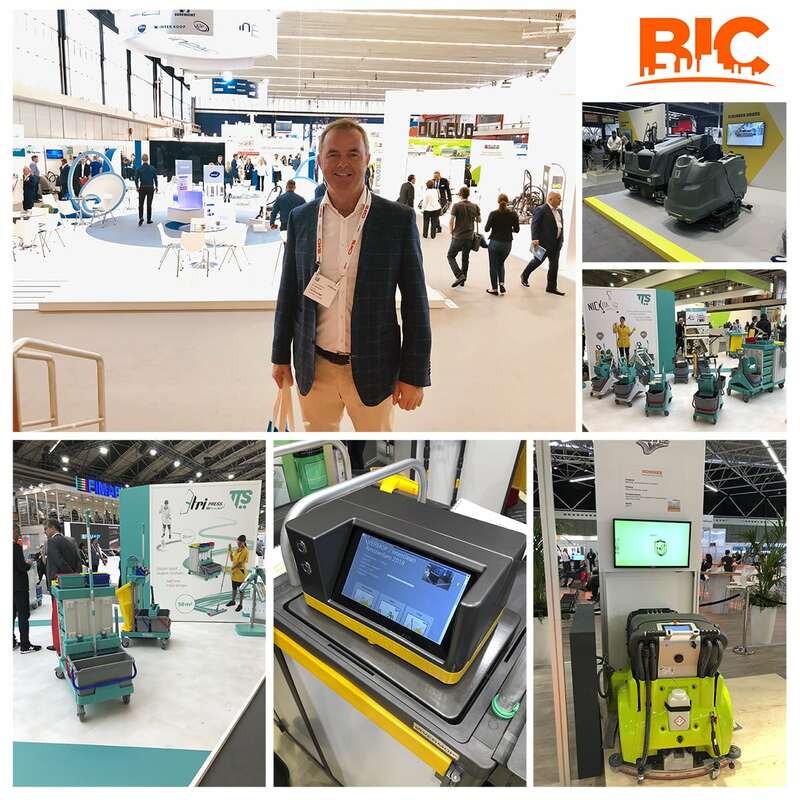 The real benefit in attending the exhibition was being exposed to cutting edge topics, future technology and visibility of business opportunities in the contract cleaning industry. The specific goal was to identify best practice systems, cleaning processes, equipment and ideas which give BIC the edge. This knowledge will assist in gaining efficiencies in labour costs and systems allowing us to report in real-time the compliance of hours, deployment of staff and the measured outcomes. BIC is not looking for the one “item” that will solve all our issues, but combining ideas and systems to give us an advantage. BIC will be trialling new E-Cleaning Technology, robotics, cleaning practices, forging new supplier partnerships and applying global best practices to better serve its clients.